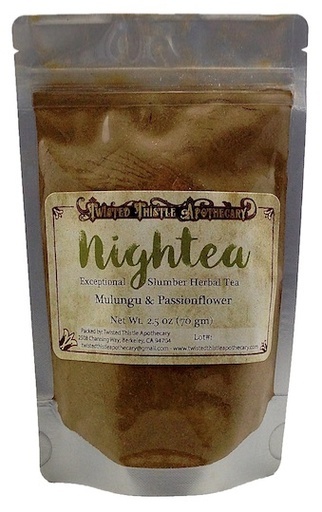 Herbal blend of Passionflower and Mulungu. It's really hard for me to go to sleep, and I've tried so many supplements and herbs. Some of them worked alright, but the Nightea has been really consistent. I take 2 teaspoons and I knock out in about an hour. NIghtea is such a life saver! I love the Nightea blend! Whenever I feel restless I drink this before bed and it puts me right to sleep. Nightea is soooo helpful. 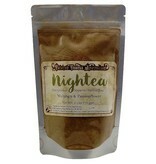 Even after taking a stimulant, having a cup of nightea helps me get to sleep and sleep more deeply during the night. I always keep this at my house to ensure I get the rest I need.